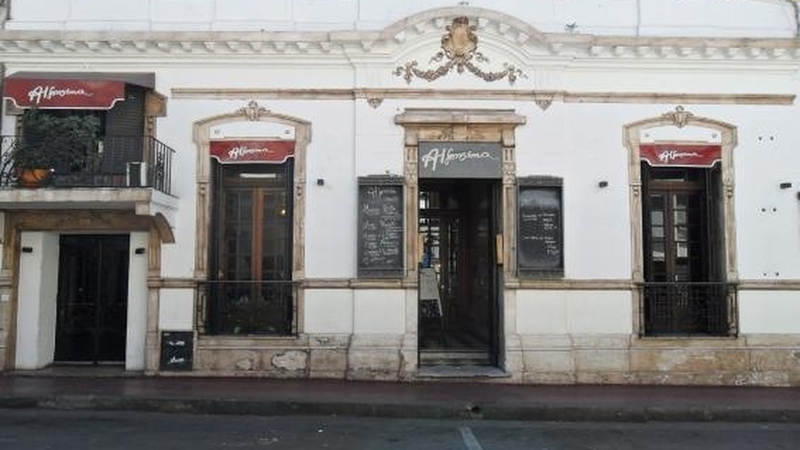 Alfonsina the Restaurant Introduces Me to Alfonsina the Poetess! 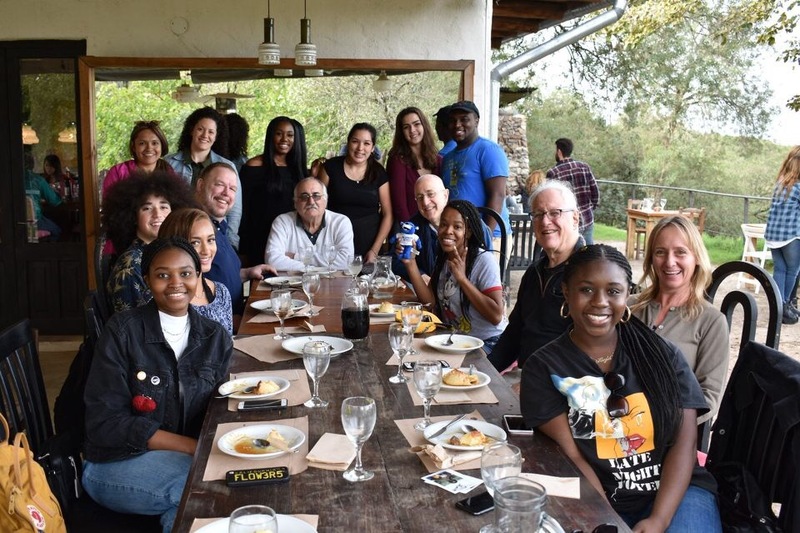 The first evening our group of students and professors from Georgia State University shared a delicious dinner of empanadas, picadas (sampler/appetizer platters) and delicious Argentine wine in the historic restaurant Alfonsina. 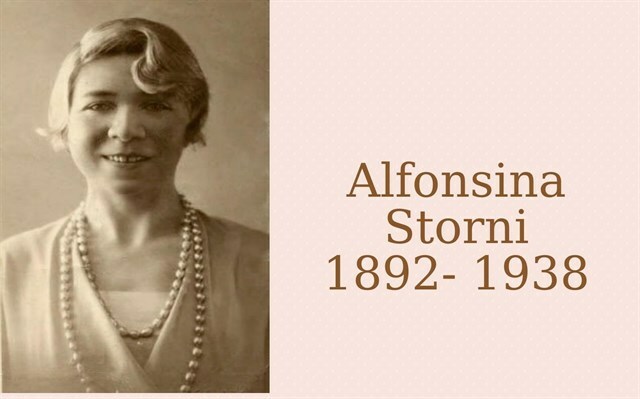 It is named after the superbly talented yet tragic poetess Alfonsina Storni. It was at this restaurant that I first learned of her. Despite my considerable familiarity with the literature and poetry of the Spanish language, it was the first time I had heard of Alfonsina. Hearing a brief description of who she was and how she died, my curiosity was spiked to learn more about her! 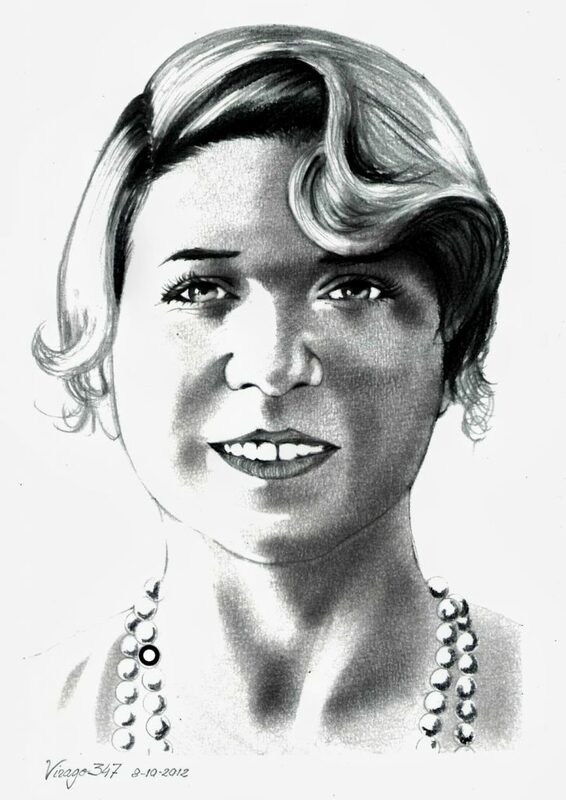 Alfonsina was one of Argentina’s and the world’s greatest poets of the 20th century. She was also a pioneer in woman’s poetry, feminist poetry and is considered a founder of the Spanish genres of modernismo and posmodernismo. She left us with a prolific body of poetry, but tragically left this world at the young age of 46 by committing suicide. 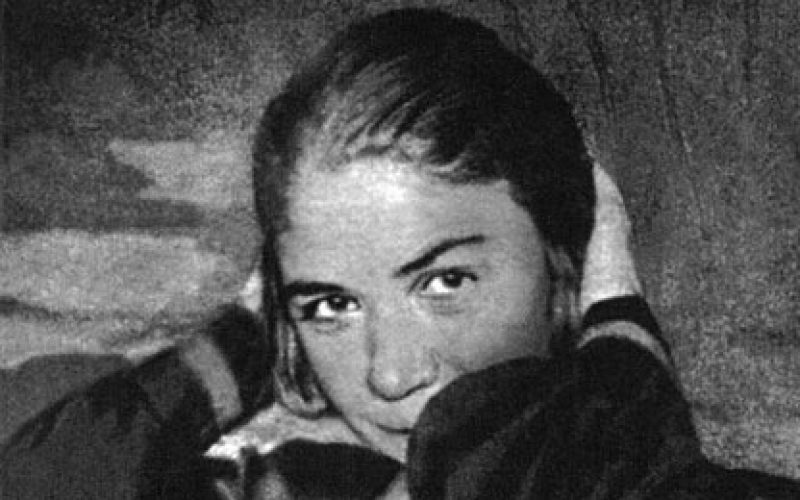 On Tuesday, 25 October 1938, Alfonsina left her room and headed towards the sea at La Perla beach in Mar del Plata. Her biographers say she jumped into the sea from a breakwater, popular legend is that she slowly walked out to sea until she drowned. 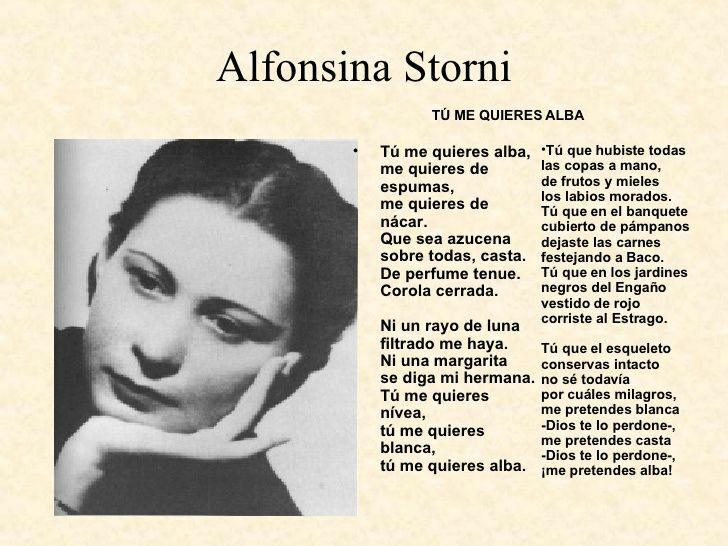 There was even a song composed about her Alfonsina y el Mar (Alfonsina and the Sea). Link to the song https://youtu.be/cNMhgC1yg_U Sadly, it is said that she committed suicide because she thought she was very ugly. I think you will agree with me that she was not ugly! She was not a 10, nor a supermodel, but I think she was actually a pretty woman. Her story and her poetry have made an impact on me and I am enjoying continued reading of her poetry. There are a few documentaries of her life on YouTube in Spanish, (I haven’t found any in English yet). 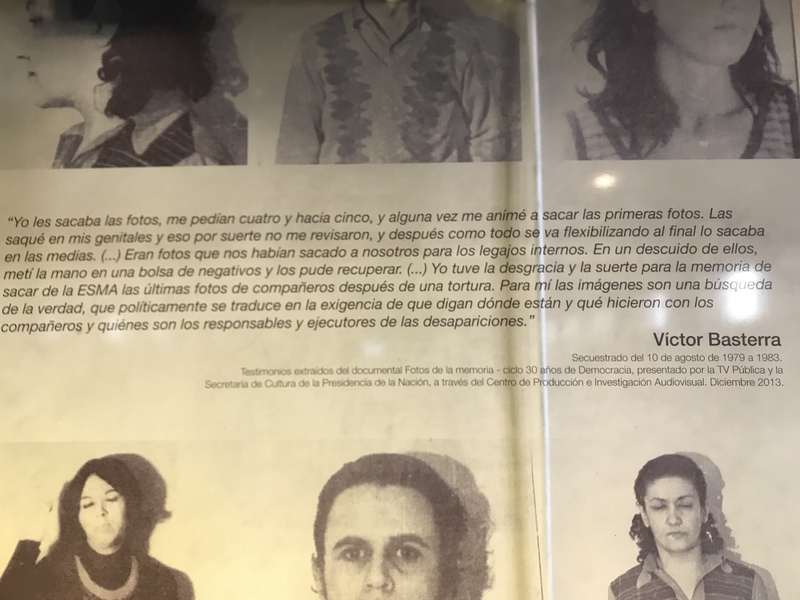 Victor Basterra was a political prisoner in ESMA who was forced to take photographs of other political prisoners to falsify identification documents for the Navy. Whenever Basterra had the chance to go home, he would hide copies of photographs of the Disappeared and Navy personnel in his underwear. Basterra took a life-threatening risk a multitude of times to resist the junta, hold the Navy personnel accountable and identify the disappeared at ESMA. Basterra had the strength to respond with action for the horrible human rights crimes that were occurring in Argentina. Basterra acted in the way that the psychiatric nursing community is demanding psychiatric nursing should do, which is bring awareness to the human rights violations people are experiencing. What Basterra did during the State Terror when he published a book of photographs of the Disappeared at ESMA and is continuing to do with speaking out against the injustices of the State Terror is inspiring. Basterra’s resistance, resilience, and courage to bring awareness of systematic repression is how we should all respond to injustices if we have to ability and privilege to. A photo of the amount of space each prisoner in ESMA had. While reading Rodney L. Lowman’s piece on Psychologists’ Principle E: Respect for People’s Rights and Dignity, I couldn’t help but think why this code of ethics isn’t a norm in society. Principle E essentially states that psychologist need to respect and see the worth of all people despite their gender identity, ethnicity, race, nationality, socioeconomic status, and ability. Principle E touches on the importance of empathy and compassion when working with people and also with just being a human being. The ability to put yourself in someone else shoes is important when you’re a person interacting with other people. Neo-liberalism, one of the driving forces of the State Terror, has no empathy because it based on the exploitation of people and their labor. Compassion and empathy for people should be in everything, however; it cannot be when junta occurs, and the goal is to destroy every person who disagrees with neo-liberalism. 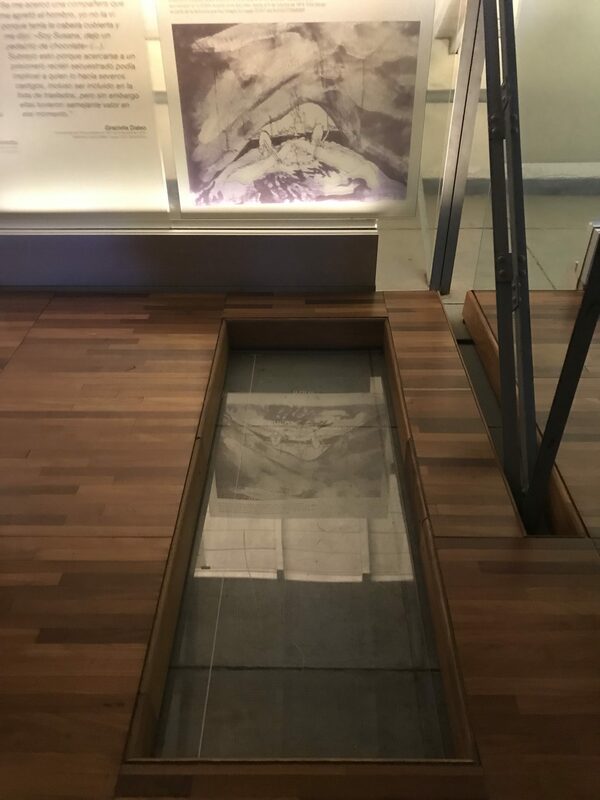 The Disappeared experienced immense dehumanization from the moment they were identified as a threat, to the clandestine camps, and how they were treated within those camps. In the fight against neo-liberalism and remembering victims of neo-liberalism love and empathy is essential. With the resistance art and remembrance of the Disappeared in Argentina, it seems to me that Argentinan activist have already been aware of principle E.
Throughout our visits, the majority of my focus was placed on the victims of the dictatorship– their thoughts, feelings, and experiences. When I did stop to think about members of the military, particularly those who worked hands-on in the detention centers, I often figured that their everyday experience must have been something that was continually foreign and henious to them. To think of their jobs as a routine, or as something they could detach themselves from over time, seemed strange to me. 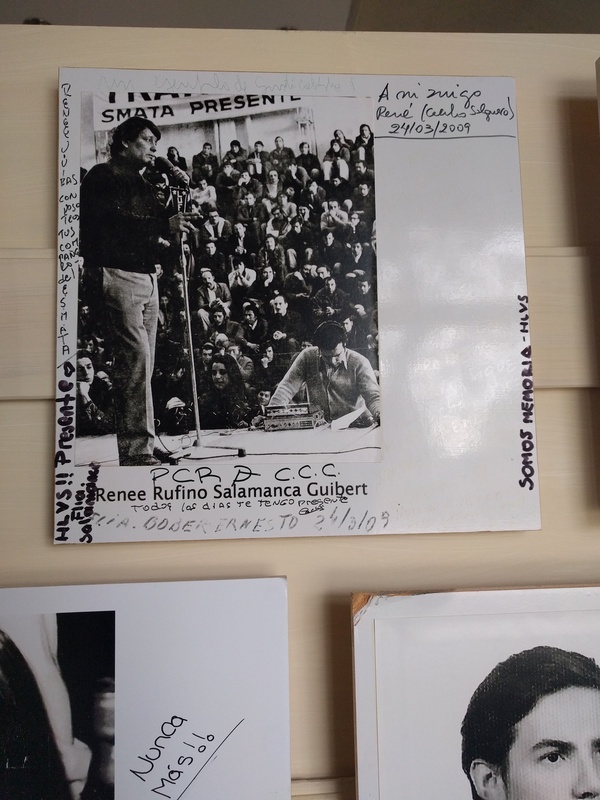 It wasn’t until I heard survivor accounts of their experiences with the officers that I began to see how the organization and rulings of these detention centers led to the normalization of such horrible violence and oppression. 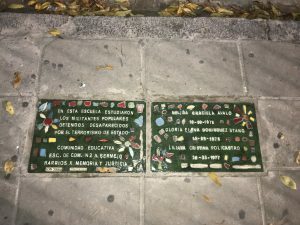 The one that stuck out to me most, that I heard stories of throughout the trip, was the account of a survivor at Atletico who recalled constantly hearing the officers play ping pong. It then struck me that the employees of these detention centers had fully managed to normalize their actions. The structure of these detention centers over time allowed people to separate themselves from a certain level of humanity and to justify the continued violation of human rights. Hidalgo, E. B. (2012). 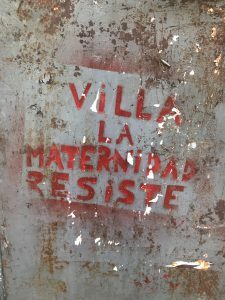 Argentina’s Former Secret Detention Centers: Between Demolition, Modification, and Preservation. Journal of Material Culture, 17(2), 191-206. Retrieved June 4, 2018. Throughout the trip, Fernando would quiz us on things within the area we were in that indicates an aspect of the State Terror, Peronism, or interesting little facts. For many of us hearing Fernando say “quiz!” meant it was time to start quickly searching so, that you could be the first one to solve the mini-mystery. It truly became one of my favorite things, out of many, from this study aboard trip. In Buenos Aires, Fernando began quizzing us on the remembrance plaques across the city that indicate if one or more people disappeared there. 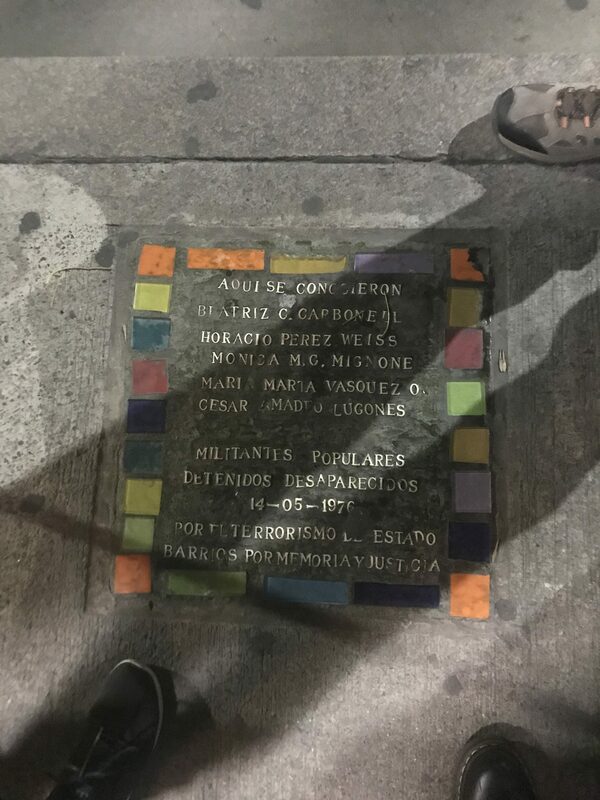 Finding the different plaques gave me a somber feeling yet also a feeling of hopefulness that people remember the Disappeared, their names, and stories in a multitude of ways. 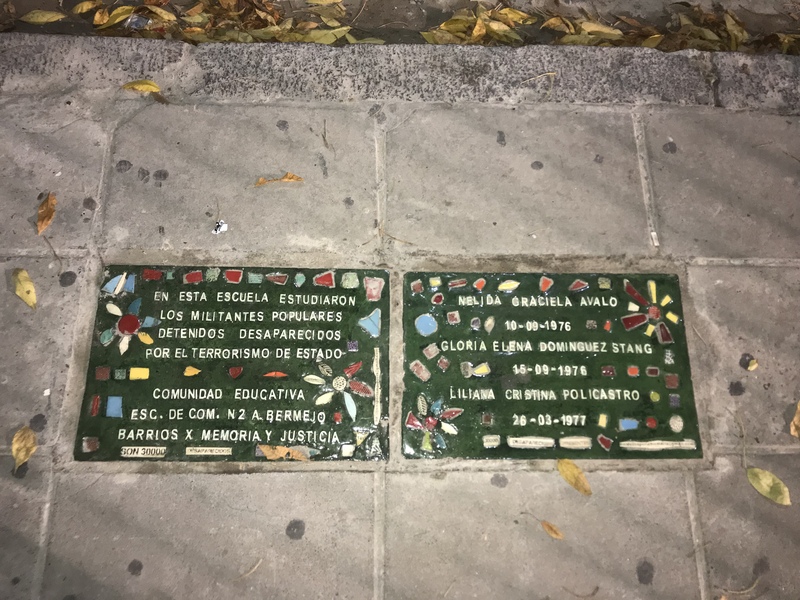 Realizing that these plaques across the city express the proximity to which governmental kidnappings occurred on busy intersections, within residential areas, and in front of schools. 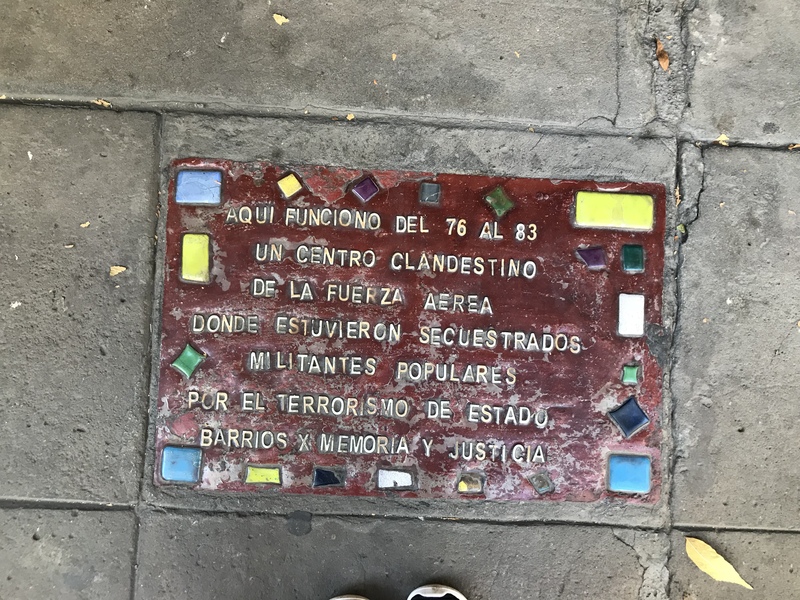 The plaques on the streets represent the proximity of the State Terror to everyday life in the 70s and early 80, how easy it could be to turn a blind eye to injustice occurring because one doesn’t have time to stop and look or that they’re terrified to act on what they saw. And that fear is due to the disgustingly dehumanizing combination of kidnappings and clandestine detention camps being in busy areas to instill fear for people who would rebel against the junta, however; also make the Disappeared feel invisible to society. Córdoba was one of the provinces in Argentina that was terrorized by the military junta the hardest during the State Terror. I wondered why Córdoba and in James Brennan’s “Argentina’s Missing Bones” I was able to get my answer. 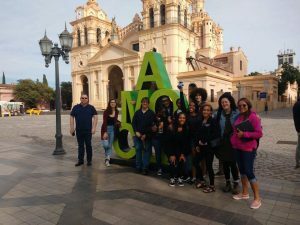 Brennan discourses how the combination of Córdoba’s large student population and auto industry workers along with their ability to mobilize and organize made Córdoba a specialized target for the junta. Though the State Terror, has left an irrecoverable mark on Argentina and in Córdoba, the people of Córdoba have continued the spirits of the disappeared in their remembrance and political resistance. 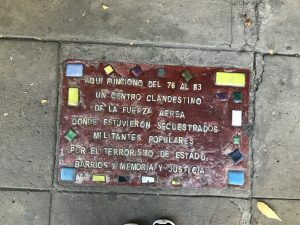 Family members, organizations, and activist who work at D2 and La Perla were able to turn junta detention centers into places of life and memorials while educating people on the history and terror of the State Terrorism. 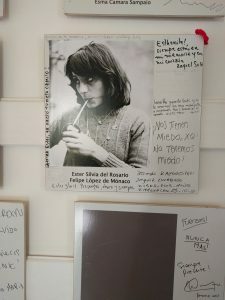 D2 and La Perla are filled with touches of the disappeared across its walls from photographs, old memorabilia, notes from their family members, biographies, what books they read, and what art they consumed. 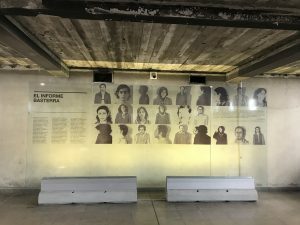 At La Perla, specifically, there is an emphasis on art to remember the disappeared, the injustices they experienced within the clandestine camps, and an awareness of what working class are experiencing today in Argentina. 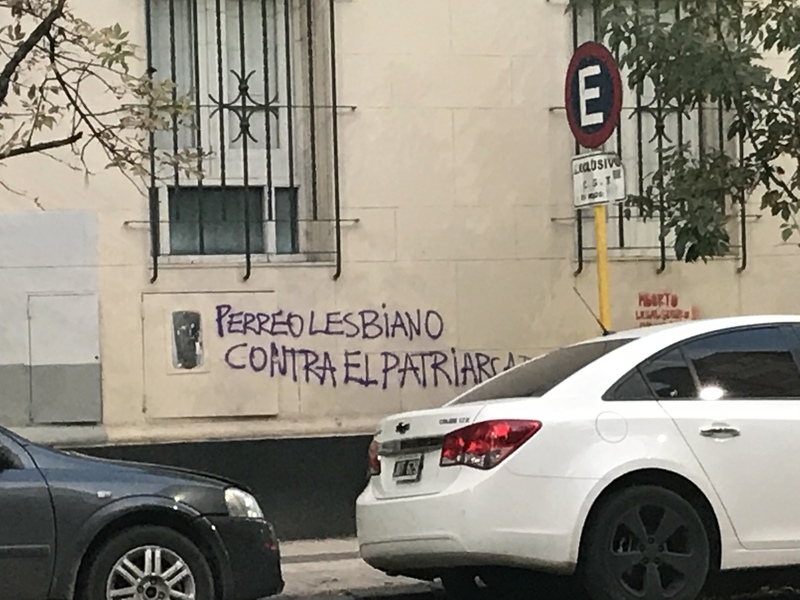 From graffiti that highlight the oppression people experience to organizations like La Marea Derecho and the continuation of the Juventud Universitaria Peronista the political spirit that the junta repressed is alive. 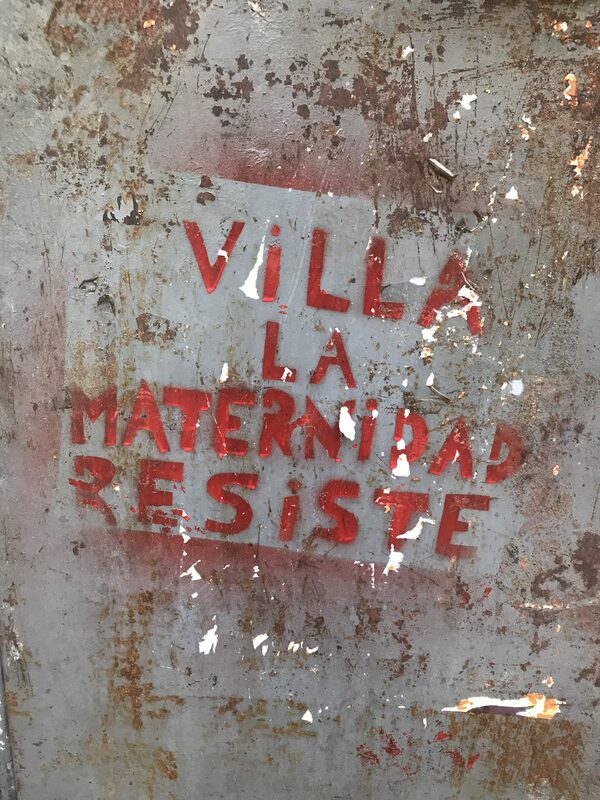 Walking down the street and seeing Córdoba’s resilience was inspiring and has left an impact on me to be more active in resisting systematic oppression. Brennan, J. P. (2018). 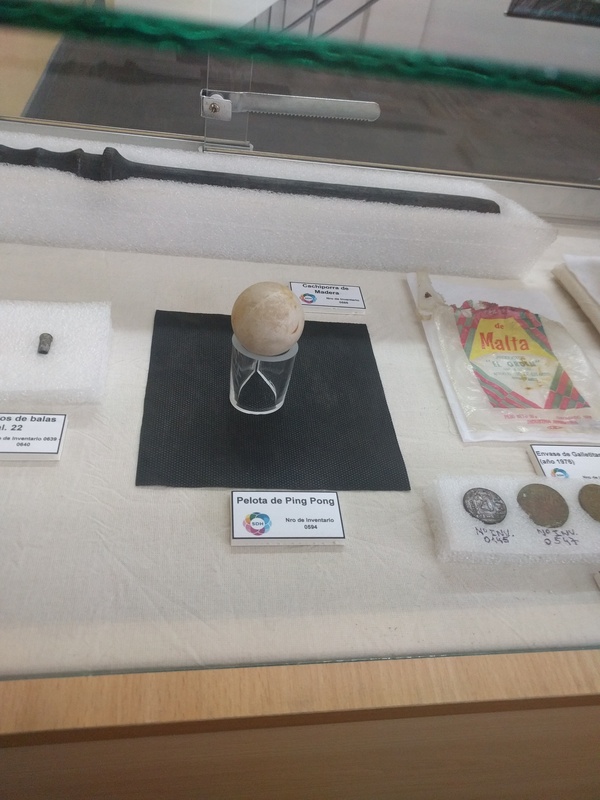 Argentina’s Missing Bones: Revisting the History of the Dirty War. Oakland, CA: University of Cailfornia Press. 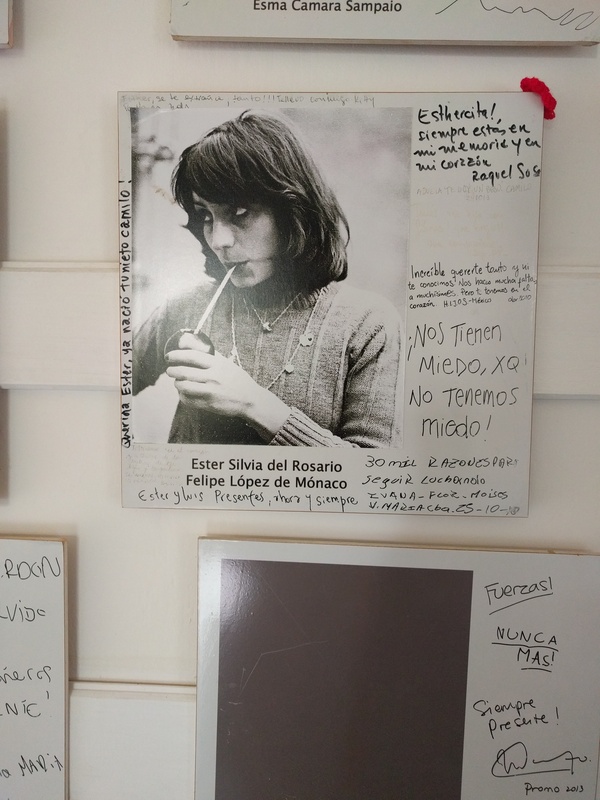 At the Parque de la Memoria, I particularly loved this piece of art. 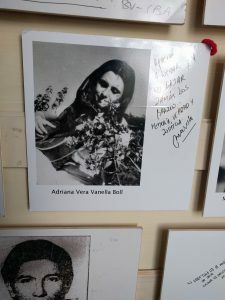 Each memorial we had visited and each person we spoke with had stressed the importance, above all else, of education and thought as a form of rebellion. This piece of art, as an expression of that sentiment, stuck out to me. 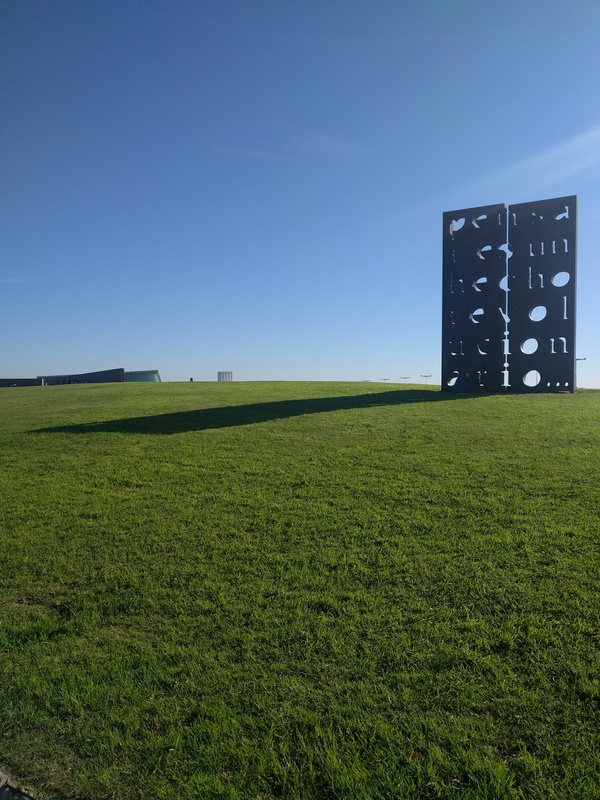 It’s placement on hill, where the sun could easily shine through it and cast a shadow on the ground in front of it helped to fulfill its purpose and message, and the way the sentence was arranged made it so you had to focus on it to put it together. 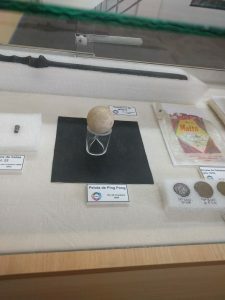 All of the aspects of it emphasized its purpose. Holzman, E. D. (2012, August 2). A Quiet Revolution. Huffpost Live. Retrieved June 4, 2018. When reflecting on the events that occurred leading up to and following the disappearances that were committed by Argentina’s military in the 1970s and 1980s, it is easily seen that the emotional climate created by socioeconomic-political events during the period played a leading role in maintaining a sense of fear nationwide that ultimately led to the creation of a society that was unable to speak out or act against blatant violations of human rights, even as they took place in plain sight. The power of fear took over Argentina causing citizens to feel as if they were incapable of speaking out against what was taking place around them. 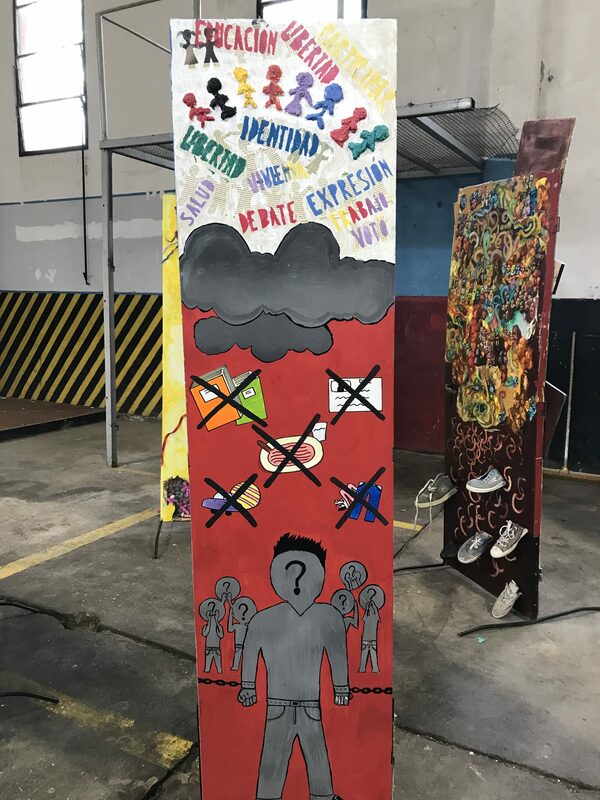 Since the fall of Argentina’s dictatorship, there has been a collective movement to reverse the climate of fear that once existed in throughout the nation. Because of once existing fear tactics, people today that have a relationship to the violation of rights that took place know that they must work to not only reverse the climate of fear that once existed, but to create a culture of peace. This begins with making the events that occurred in the 1970s and 80s known to the entire nation and around the world. 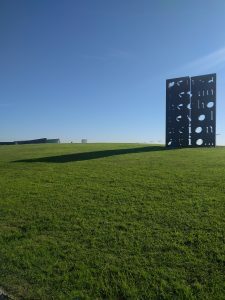 Those working in the memorials, those who are survivors, and those with family members who have disappeared are continually working to create an open environment in which events, and the emotional connections to those events, are not forgotten and that those who have experienced trauma have a chance to mourn and to be heard. Through the use of memorials, marches, and art throughout the city, citizens of Argentina are working to ensure that the climate of fear that once existed cannot be recreated. 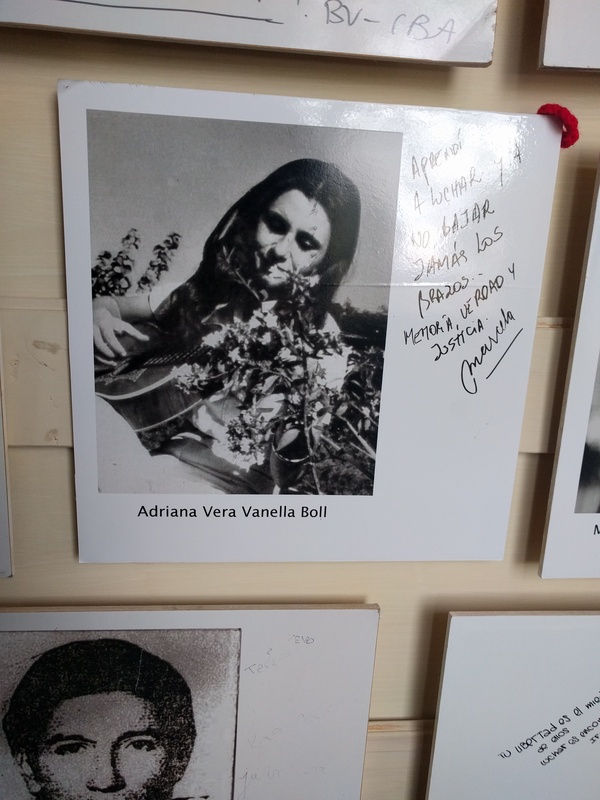 For me, the most powerful form of education that I witnessed were the photographs and names of victims seen at each memorial, particularly at La Perla, where loved ones were able to remember and mourn those that they had lost. The open discussions and educational opportunities we were a part of helped to work towards a culture of peace. Rivera, J. D. (2007). Emotional Climate, Human Security, and Cultures of Peace. Journal of Social Issues, 63(2), 233-253. Retrieved June 4, 2018. I had the pleasure of taking Dr. Kuperminc’s community psychology class last fall. Back in spring 2017 before I took his class, Gabe came to my careers in psychology class to speak which is when I first heard about the human rights in Argentina. 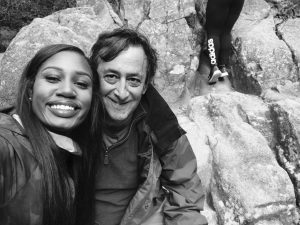 I normally have really large class sizes so it is much harder to get to know the professors so I’m so thankful to have had him as a professor. Thanks for being so kind, and passionate about what you do. And thanks for leading such an amazing program! We all appreciate you so much. This was the trip of a lifetime.